Paytm being Enhanced for their / ours Security reasons – Made OTP Compulsary to login in Web Version – Previously some tricks came but they are taking too much time to Complete process .This trick is very Simple and within minutes you can sign in to your paytm account without any need of OTP. So Lets see how we cab easily Bypass Paytm OTP with this Simple trick. Please follow steps carefully. 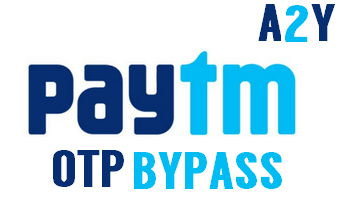 How To Bypass Paytm OTP ? 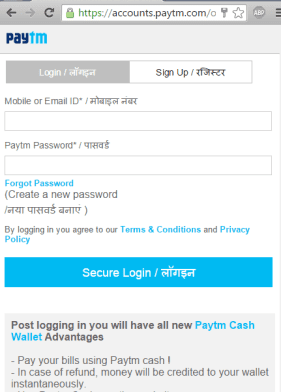 Its Paytm Website Page only – Be Sure of any Phishing link. Now Sign in there with your Paytm Email/Number and Password. After filling Details Click on Secure Login button. As you sign in you will observe a Blank page . You will see yourself Logged into your account. This Post is Just for educational Purposes – We don’t mean it for unwise uses. We are Not Responsible for any loss / harm made to you using this trick. If you want you can even tell paytm regarding this bug to make them more secure in future. If you are using this trick make sure you use it for wise purposes.